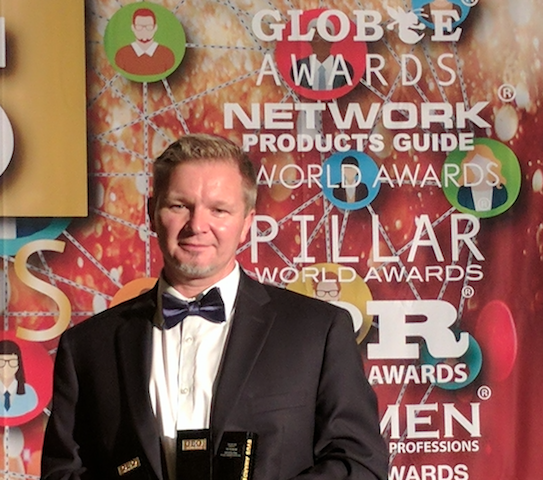 Clifford Cruz | 802 Secure, Inc.
“Garry Drummond, CEO of 802 Secure, Inc, has been announced as one of the winners in the prestigious CEO World Awards®. Organizations from all over the world submitted nominations including public and private, for-profit and non-profit, largest to smallest and new start-ups. The coveted annual CEO World Awards program encompasses the world’s best in leadership, innovation, organizational performance, new products and services from every major industry in the world. 802 Secure is developing signal intelligent technology for securing the Internet of Things; detecting and assessing new wireless risks across the broader RF spectrum using software defined radios and big data analytics. 802 Secure has developed a leading world class product, AirShield, to monitor IoT assets, identify risks and threats, and ensure performance and reliability 24x7 of the IoT environment.